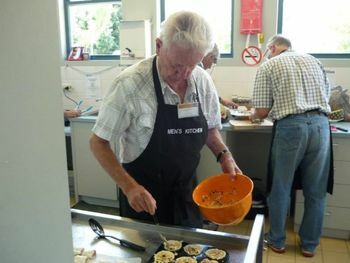 Forest Men's Kitchen provides a fun, safe, supportive and instructive environment where older men learn cooking skills. 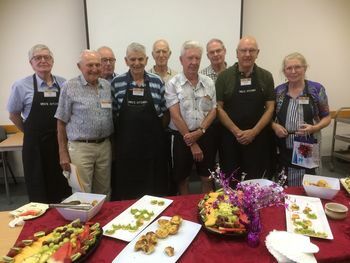 If you are one of the 30,000 men, over sixty years, living on the Northern Beaches and are looking to increase your confidence in the kitchen, or have had to take over the role of preparing meals, and most importantly, would like to join a group of men who enjoy each other's company while preparing a meal, then the men's cooking classes conducted by Forest Men's Kitchen is what you are after. 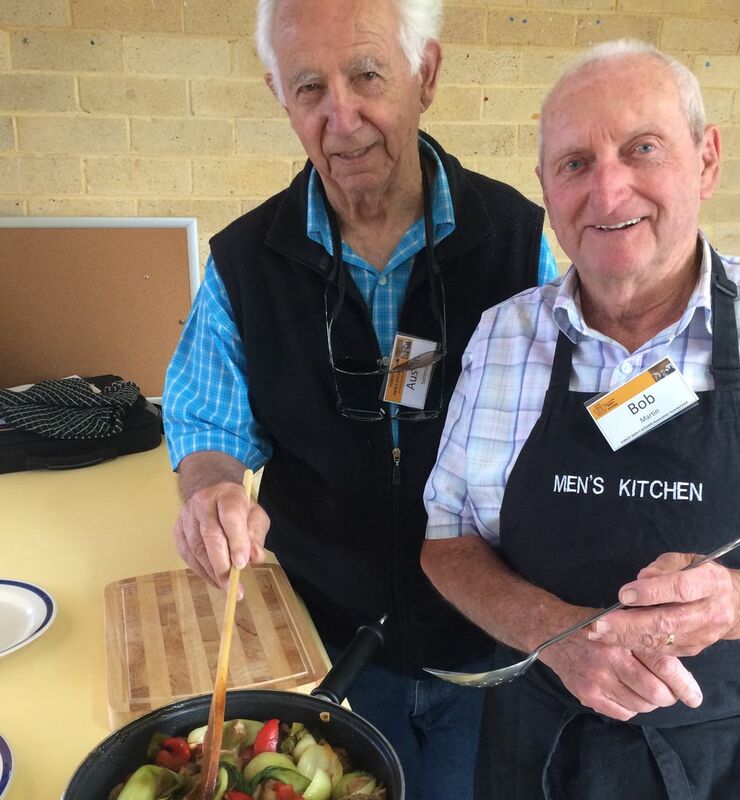 We understand that men of our generation are technophobes, so if you have a father or even grandfather who you believe would benefit from having improved kitchen skills and more contact with men of his age, please get in touch with us on his behalf. At each cooking lesson, usually conducted over a weekday lunchtime, we prepare a main course and a dessert. In pairs, the group prepares each course, then we all sit and enjoy the meal we have prepared. For example, we recently prepared shepherd's pie followed by honey chocolate cake and icecream. Delicious! Check out the recipes attached to this website. The challenges of Retiring - Once we men retire, a significant life-purpose disappears. The good news with that change is that it affords us older men a lot of spare time to focus on new things. It also give us the opportunity to look ahead and plan for what is going to unfold in our retirement years. Many of us dislike change immensely, but like it or not, during our retirement things will be changing a lot. 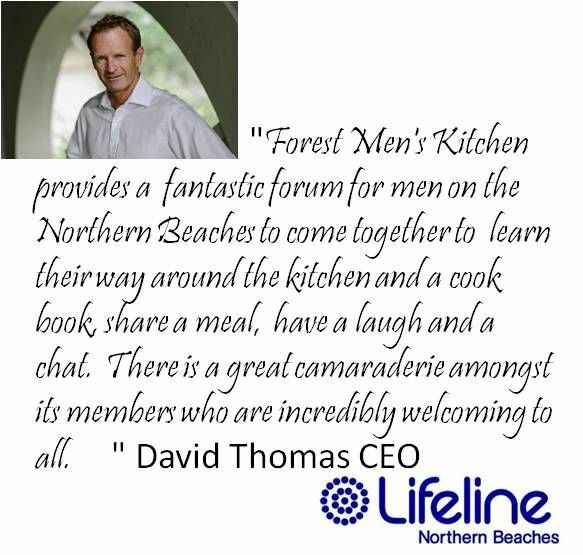 The Forest Men's Kitchen gives you the opportunity to embrace the changes that will occur; firstly by learning more about the preparation of food, and secondly by providing a great forum to discuss changes in your life with other Old Dogs who are going through similar life events. 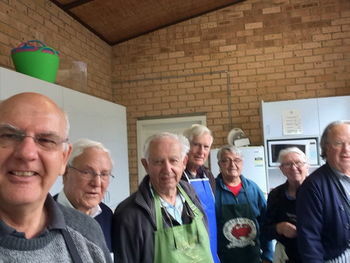 All older men are welcome - Forest Men's Kitchen has been established to provide men's cooking classes for those who have never cooked meals during their working life, allowing them to come together with other Old Dogs and develop some new skills in the kitchen. Our Men's Kitchen are well appointed Kitchens enabling members to undertake a wide range of food preparation tasks. Members can share time with each other, swap yarns and work together on the preparation of a meal. We also can pitch in when we take on a community event where the Men's Kitchen has offered to prepare the food of the day. Read what some of our members say about us. Forestville RSL Club helps us cover our venue hire costs. 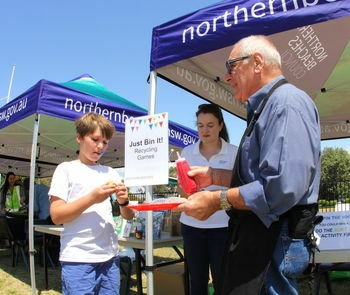 Minuteman Press Pittwater helps reduce the cost to print our recipe books. 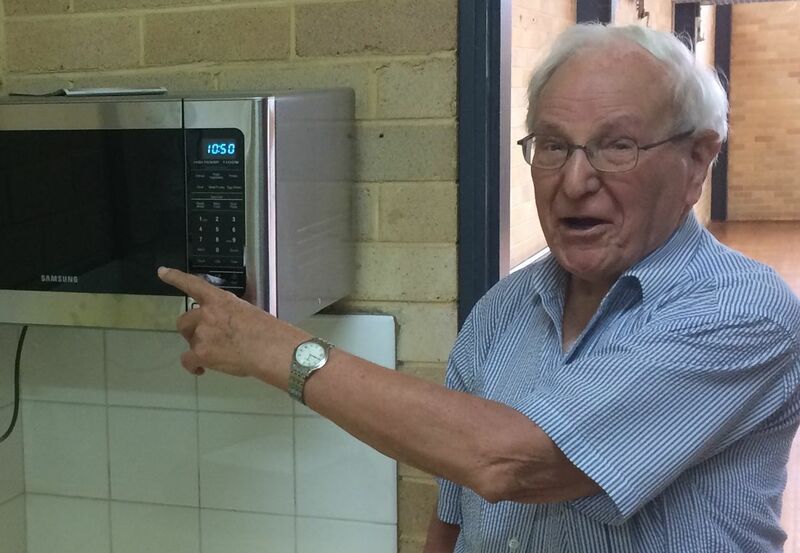 Northern Beaches Council provided us funding to help get operationally established in the Forest area in 2017 and in 2018 helped us to set our Kitchen in Warriewood. French's Forest Rotary has helped us twice, firstly to initially incorporate and get formally started in 2016 and then again to cover our insurance costs for 2018. New and current members, please read the Welcome Letter to familiarise yourselves with the "day-to-day" operation of our Cooking Sessions. Also to be sure to read our constitution. Forest Men's Kitchen is a not for profit Incorporated Association.